Angry Orchard Cider Company Archives - Oak Beverages Inc. The Hudson Valley also has a long cider making tradition. Before prohibition, cider apple orchards were common to find in the region. Cider has been made here for more than 200 years! 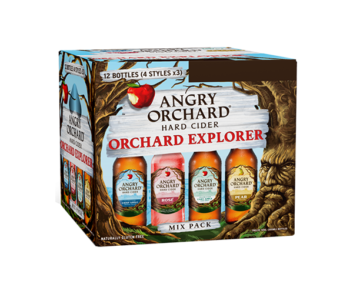 Like many of the orchards in the area, Angry Orchard has a long history. It has been a farm since the 1700s and the first apple trees were planted here around 100 years ago. The Crist Family took ownership of this orchard in 1963 and as leaders in the apple growing industry, grew both culinary and cider apples. We are committed to bringing traditional cider varieties and lost heirloom varieties back to the United States. As such, certain areas of the orchard are designated for new cider apple plantings and varietal research, in collaboration with local institutions and growers.